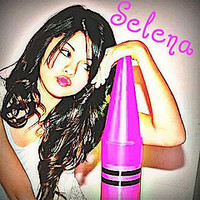 Selena witha giant crayon???. selena gomez is coloring omg!!!. Images in the selena gomez club tagged: icons selena gomez. selena gomez is coloring omg!! !